Key Program Features: Real-world experience, small class size, hands-on learning, professional opportunities, and an engaging faculty. Hocking College offers a 160 clock hour STNA course which consists of 140 hours classroom instruction (lecture and nursing simulation skill labs) and 20 hours supervised clinical experience in a long-term care facility providing direct hands-on nursing and nursing-related care to assigned resident(s). The STNA course is 4 weeks in length and will initially be provided at the college’s U.S. Green Building Council LEED Platinum designated energy efficient building on the Logan Campus located at 30140 Iles Road, Logan, OH 43138. Prospective students are required to complete pre-admission requirements prior to enrollment in the STNA Program including submitting their current, signed, government-issued photo ID; original, signed Social Security card; official high school transcript or GED; BCI and FBI criminal background check results; urine drug screen results; physical examination within previous 12 months; and attestation that the individual has health insurance. In addition, the applicant will need to provide evidence of having completed a 2-step tuberculosis skin test within the previous 12 months; that all specified immunizations for healthcare personnel are up to date, and that they have a current, non-lapsed certificate for BLS for the Professional Rescuer prior to the third week of the course in order to be able to participate in scheduled clinical experiences at a long-term care facility. The STNA course curriculum is composed of the following topic areas: introduction to the training and competency evaluation program (TCEP); communication and interpersonal skills; infection control; safety and emergency procedures, promoting residents’ independence; respecting residents’ rights; basic nursing skills; personal care skills; mental health and social service needs; basic restorative services; and residents’ rights. Additional time has been built into the curriculum to provide the student with more time to develop proficiency and increased confidence in performing Ohio’s 25 manual skill tasks in the nursing simulation skills laboratory. Also, additional hours are dedicated to provide students with experience practicing doing online questions which pertain to topic areas which are evaluated on the HESI Admission Assessment (A2) Examination which is a standardized test that is frequently required as part of a nursing program’s criteria for admission into a nursing major. Hands-on experience starts in the nursing simulation skills laboratory before resident contact in an approved long-term care facility. The STNA course is rigorous and will give the nurse aide trainee the necessary knowledge and skills to provide basic nursing care to persons who need assistance with their ability to perform activities of daily living or other instrumental tasks in a variety of settings. Clinical experience for the STNA course is scheduled at a CMS certified long-term care facility within a 75-mile radius of the college. Nurse aide trainees are responsible for their own transportation to and from the clinical site. Attendance at all classes, laboratory sessions, and clinical experiences is mandatory per federal and state laws. In the event of an absence, the law in Ohio states a nurse aide trainee has 60 days to make up any absences to fulfill total hours of the NATCEP curriculum in which the nurse aide trainee is enrolled. Upon successful completion of the nurse aide training and competency evaluation program, nurse aide trainees will receive an official Ohio Department of Health Certificate of Completion and are then eligible to register for the state nurse aide test. Persons who pass the knowledge portion and skills component of the state nurse aide test will then have their name added to the Ohio Nurse Aide Registry which is managed by the Ohio Department of Health. Hocking College’s School of Nursing requires prospective students interested in enrolling in either their Diploma in Practical Nursing or the Registered Nursing Associate of Applied Science in Nursing Program provide documentation of currently being recognized as having an active status designation on the Ohio Nurse Aide Registry which must be maintained prior to starting their first clinical nursing course. Describe the responsibilities of a nurse aide including expected professional behaviors and boundaries when interacting with residents, role in contributing to care planning, and the importance of accurate, timely record keeping. Discuss how to prevent the growth of pathogenic microorganisms, recognize the signs and symptoms of infection, and perform interventions that prevent the spread of infection. Explain basic safety measures pertaining to safe use of oxygen, ambulation, fire safety, and other expectations for disaster preparedness. Address promoting a resident’s independence through recognition of their developmental stage and an awareness of the impact of disease processes on a person’s functional capabilities. Discuss resident rights and how to uphold them professionally. Recognize common diseases, measure vital signs accurately, identify nutritional needs of older adults, and provide appropriate comfort measures. Provide oral care, bathing, and toileting with confidence and proficiency expected by an entry-level nurse aide. Describe the emotional needs of residents, alterations in an older adults’ rest and sleep patterns, sexuality, possible signs of depression, and the dying process. Demonstrate familiarity with common prosthetic devices, discuss potential bowel/bladder complications, and provide measures to prevent complications of immobility. Hocking College’s STNA Program is approved by the Ohio Department of Health (ODH) and by the Ohio Department of Higher Education as a technical certificate program. The TCEP approval number is 3654178 effective 12/1/2018 — 12/1/2020. A career as a state tested nurse aide (STNA) can be very fulfilling and provide a lot of personal satisfaction. A STNA should possess these attributes or desired qualities for employment in a healthcare setting- commitment, flexibility, time management, effective interpersonal communication skills, sensitivity, empathy, integrity, compassion, resiliency, enjoy working with others, and physical strength to perform manual skill tasks. In 2016 according to the U.S. Bureau of Labor Statistics, there were an estimated 1.4 million persons employed as certified nursing assistants. 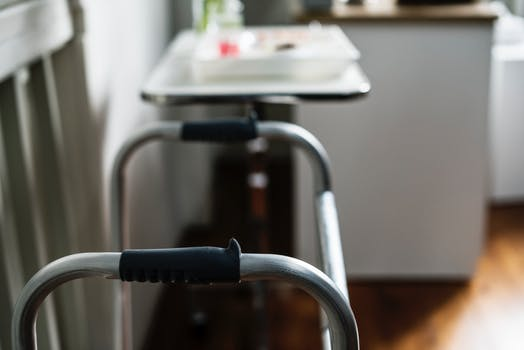 Although a STNA may work in an inpatient hospital setting, the majority are frequently employed in long-term residential care facilities, rehabilitation centers, and adult day care centers. Nursing care facilities employed the most nursing assistive personnel at 37% opposed to only 4% working in home health care. Depending on the needs of the employer, nursing assistive personnel can negotiate to work a variety of schedules. Some STNAs work a set schedule of straight shifts whereas others may opt to work a variety of shifts throughout the course of a week. Scheduling needs of the employer may require that the STNA be willing to work evenings, nights, weekends, and holidays. Persons paid on an hourly basis may be able to earn overtime pay. An individual’s earning potential is self-limiting. How do I apply for the STNA Program? I have applied to Hocking and received the general acceptance letter in the mail. What is my next step? Submit your official high school transcript, GED, or Expected Graduation Form. Applicants must be at least 15 ½ years of age to enroll in the STNA Program as a condition to be eligible to participate in clinical experience at a long-term care facility in the State of Ohio. What do I need to do to ensure getting into the course session I want to attend? Applications will be reviewed in the order received and confirmation of enrollment will be communicated to the applicant once all specified required items have been completed. Are there any other considerations concerning admission and employment as a nurse aide? If an applicant has a previous offense which appears in their criminal background check, the applicant should refer to the Ohio Administrative Code (OAC) Chapter 3701-13 Hiring of Direct Care Provider Employees -05 Disqualifying Offenses which preclude a person from being employed in a position that involves providing direct care to an older adult if the person has been convicted of or pleaded guilty to stipulated offenses contained in the Ohio Revised Code (ORC). In addition, the Ohio Department of Health Nurse Aide Registry may revoke a STNA’s certificate if there is a finding of abuse, neglect, or misappropriation of property against an individual. What if I am interested in furthering my education to become a licensed nurse in nursing? You may choose to pursue continuing your education at Hocking College’s School of Nursing which offers a Diploma in Practical Nursing Program or obtain an Associate of Applied Science in Nursing Degree through the Registered Nursing Program. Student Learning Outcomes (SLOs) are statements of what a student will be able to do when they have completed a program. They represent the knowledge and skills a program has determined are most important for students to gain from that program and include both the Success Skills (Institutional Outcomes) and Program Outcomes. SLOs are specific and measurable so the program can accurately assess the extent to which degree students have achieved each outcome, and they align with college and institution mission and values. Data on the achievement of SLOs is used to make improvements in the program and increase student success. The STNA Certificate program is a new program starting in Spring 2019. Program outcome data will be available in Fall 2019. Form appropriate relationships using therapeutic communication to interact competently as a member of the health care team to assist residents of a long-term care facility in achieving identified resident care objectives. Demonstrate an understanding of the residents’ physical, emotional, social and mental health needs through appropriate use of interpersonal communication. Assist assigned residents to attain and maintain functional independence in the long-term care setting. Exhibit appropriate behavior which recognizes and supports the promotion of residents’ rights. Demonstrate observation and documentation skills required in support of residents’ health, physical condition, and well-being in a long-term care facility.